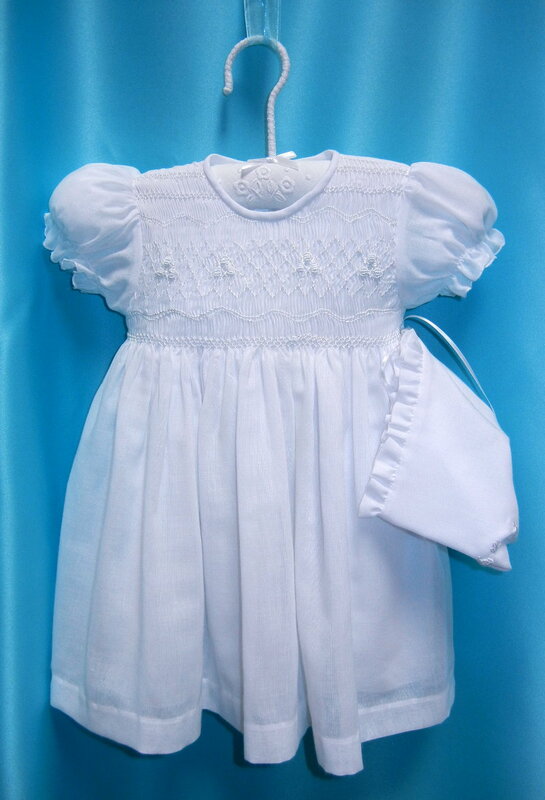 White cotton christening dress with bonnet. This lovely dress is available in 6, 12, and 18 months. Made in Columbia.